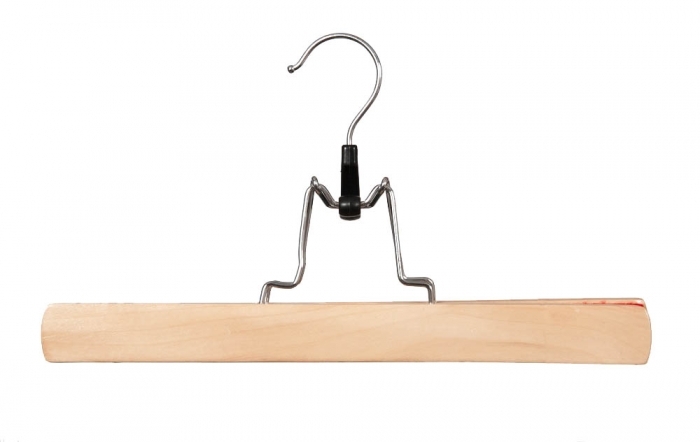 Wooden clamp hangers in natural wood. 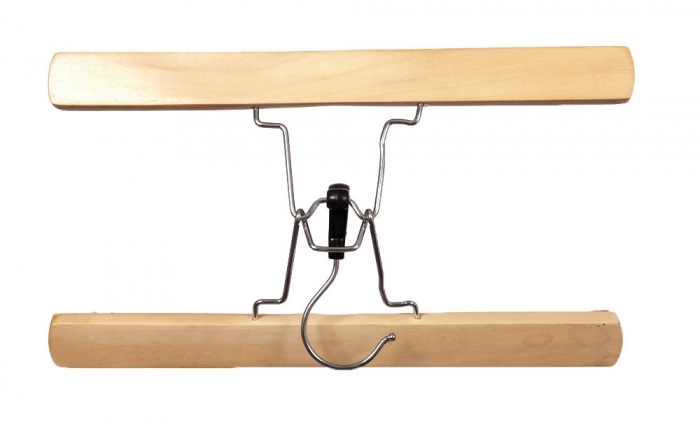 This hanger is 30cm wide (300mm). 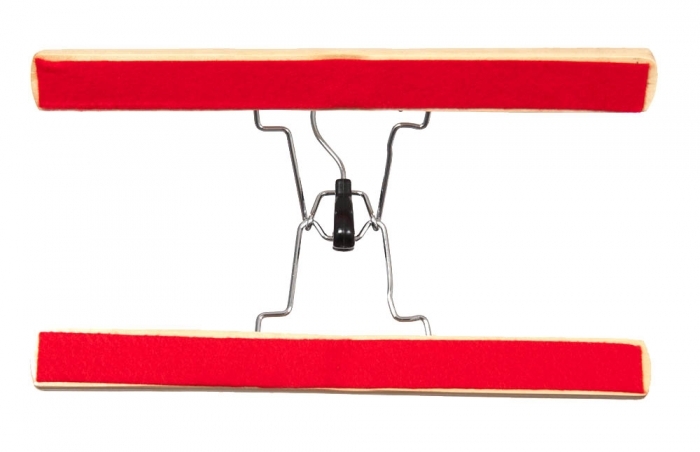 Sold as a box of 100 hangers. 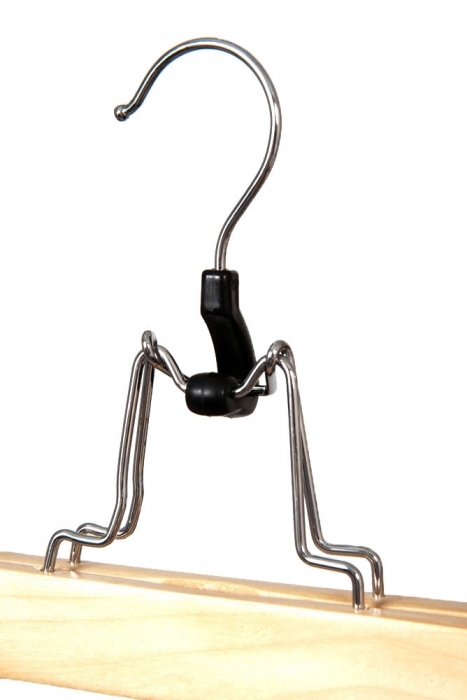 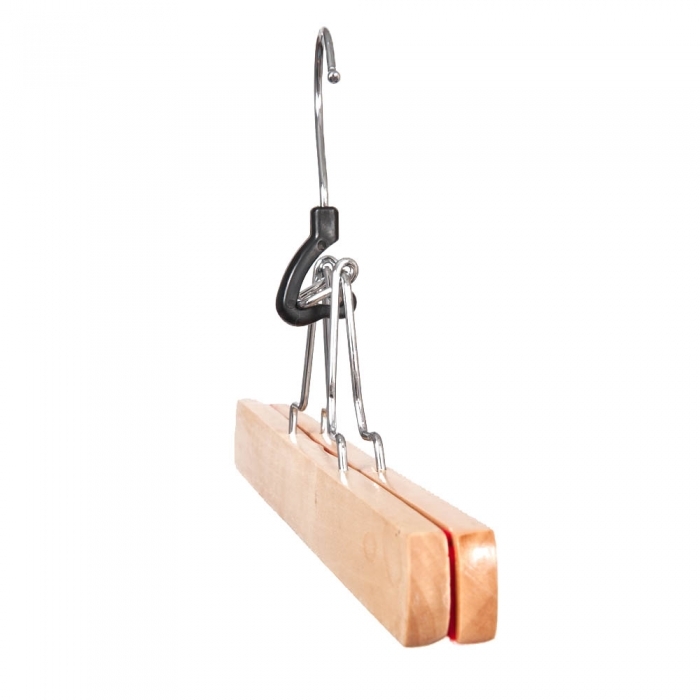 Perfect for the retail environment and sold to retailers throughout the UK and equally suited to the home the wooden clamp hanger is ideal if you require a hanger for garments such as Trousers. 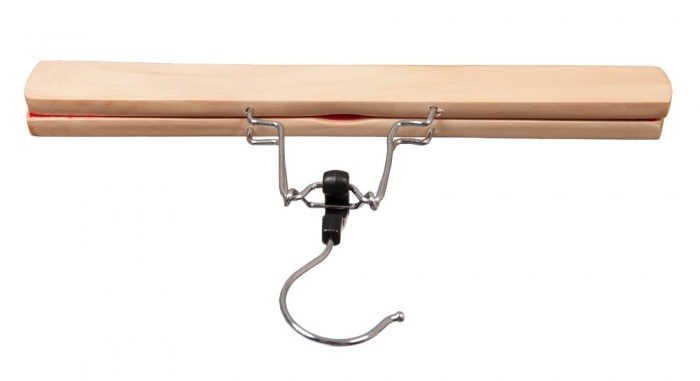 It has a red felt within the hanger to protect your clothes.